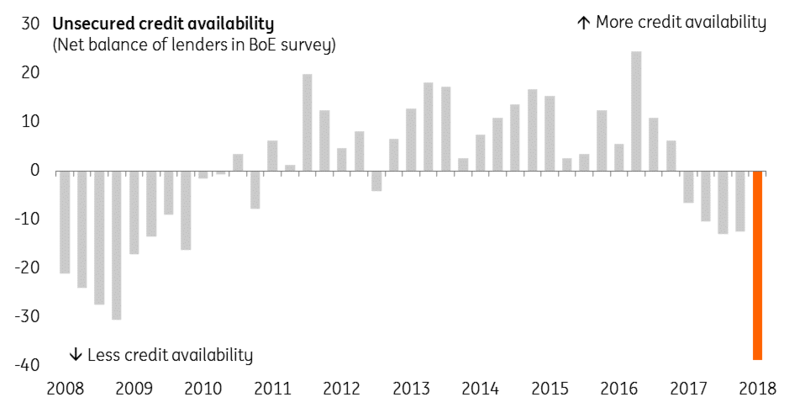 It’s not something markets or analysts typically spend much time looking at each month, but the unexpectedly sharp fall in consumer credit in March was probably a key factor in the Bank of England’s decision to keep rates on hold in May. Admittedly the reasons for this sudden decline were fairly unclear, and the latest figures released today show that the amount of unsecured consumer credit supplied fully recovered in April, rising by £1.8 billion. This tentatively suggests the fall was simply a blip, perhaps related to the wider economic slowdown in March (although it’s not entirely clear why the bad weather would have resulted in such a sharp change). We still think this is a story worth keeping an eye on over the next couple of months. A net 39% of banks said they tightened up on credit availability in the first quarter according to a Bank of England survey. If credit growth were to slow further, it would no doubt be a bad omen for growth - particularly as, of what little spending there has been over the past year, much of it appears to have been financed by borrowing. Meanwhile, consumers continue to remain cautious. While household incomes are no longer being squeezed quite as much as before, shoppers are now being confronted with higher petrol prices, and the latest confidence surveys suggest individuals remain pessimistic about the economic situation overall. While we are inclined to think policymakers have a preference to hike rates again in August if economic data allows (particularly given the better wage growth trend), this is certainly not a done deal. 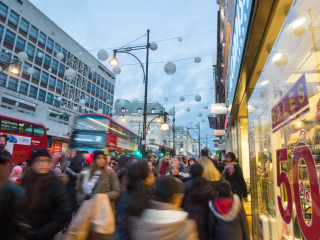 The cracks forming in the retail sector remain a risk to the Bank of England outlook. As one committee member recently said, the cost of waiting a bit longer before hiking rates is relatively low.